Part 1 of 2: Service Interchanges. 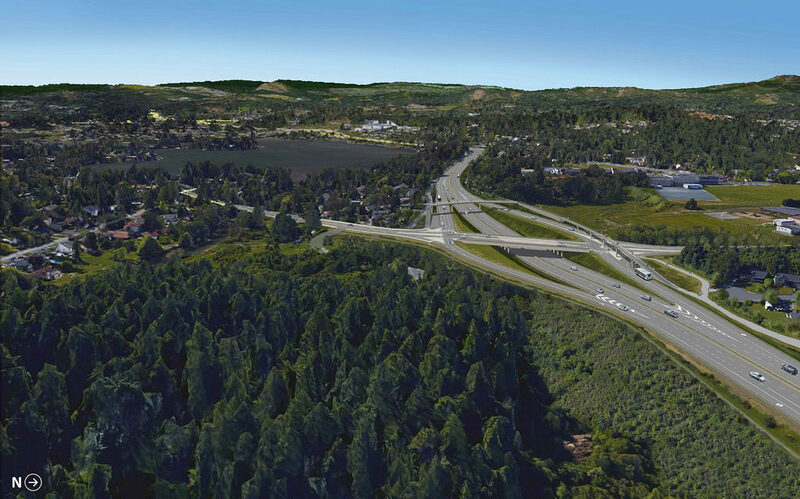 When highway design works well, it’s not something you notice. The roads take you where you want to go, and that’s the end of your experience. However, designing a road network isn’t easy, and when traffic goes bad, it can go really bad. Like, stuck in traffic for 5 days bad. In this two part series, we will take a look at some of the most interesting successes and failures in freeway design by ranking 3 kinds of interchange. Most interchanges fall into two categories — system interchanges or service interchanges. System interchanges connect one highway to one or more other highways, while service interchanges connect a highway to smaller or slower roads. In the first part of this series, we be exploring the good, the bad, and the ugly of service interchanges. The parclo interchange (short for partial cloverleaf) is a modification of the cloverleaf design. While it does have some disadvantages — it isn’t as compact as other interchange designs — it ranks highly on my list for a few reasons. For one, it can handle high volumes of traffic, making it perfect for high-traffic suburban areas. Secondly, it’s safer than many other interchange designs, due to it’s long, relatively straight exit ramps. This helps to prevent speed-related rollovers. It also is designed in a way to reduce weaving, an unsafe condition where traffic must cross paths within a limited distance to merge. Finally, The I love the parclo because it’s Canadian invention! 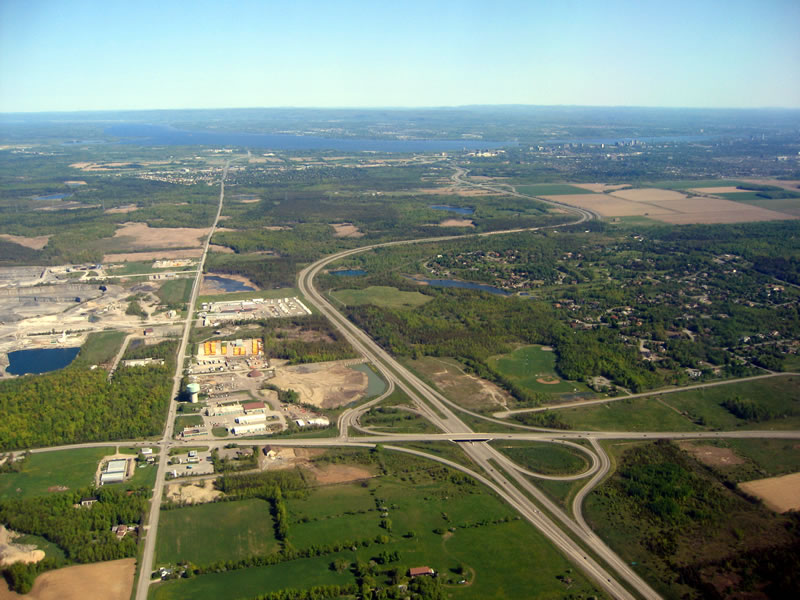 The Ministry of Transportation of Ontario created it as part of the 400-series highway project. 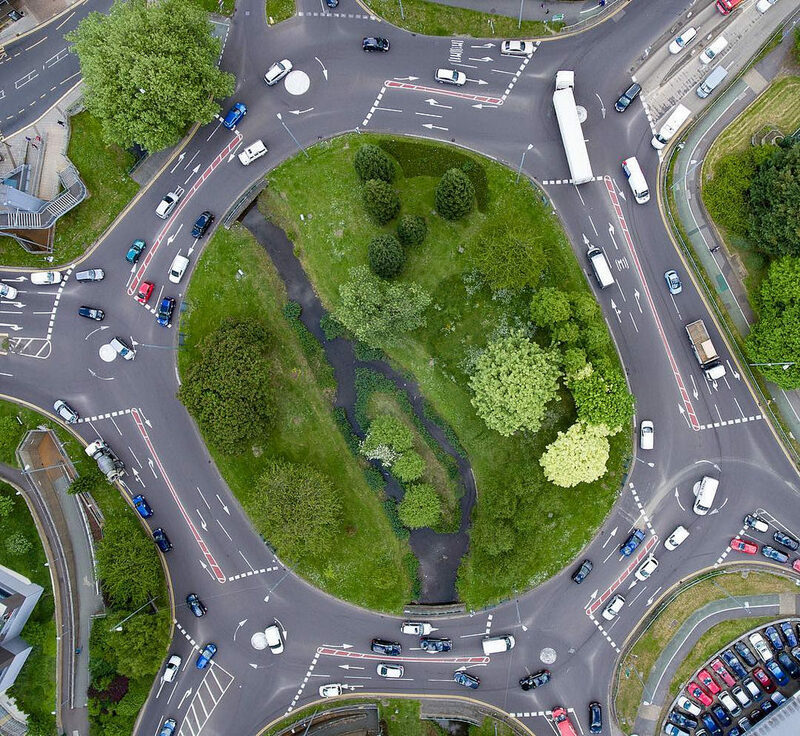 The magic roundabout is a bizarre yet terrifying interchange first built in Swindon, a town in the UK. It consists of five mini roundabouts encircling the outer roundabout, and an inner roundabout flowing in the opposite direction! It is designed to terminate a highway; most connect to one major highway and several local roads. While it does do it’s job, and actually has a remarkable safety record for it’s complexity, it has one big flaw: people are terrified of it! It’s been voted as the worst roundabout in Britain, and some people go to great lengths to avoid driving through its terrifying complexity. I give diamond interchanges the “ugly” title because they are boring. Common, uninspired, and inefficient, these interchanges are essentially the beige of traffic management. While diamond interchanges are effective at low volumes and are fairly cheap, I just think they are boring. However, when traffic volumes increase, these interchanges can easily become congested. However, due to their cheapness, they are a very common sight on highways all around the world. Next week’s part will feature a look at the potentially more interesting world of system interchanges.